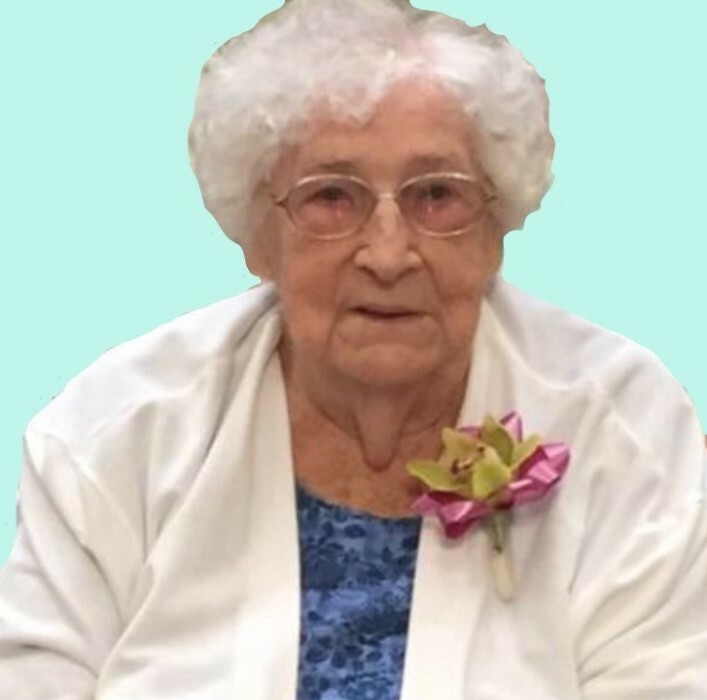 Elda Jean "Boots" Atkins, 92, of Lawrenceburg, Indiana, passed away Tuesday November 27, 2018 in Lawrenceburg, Indiana. She was born August 29, 1926, daughter of the late George Meyer and Clara (Bode) Meyer. Boots worked as a cook for Central Elementary school, with over 20 years of service. She was a life member of St John Lutheran Church (Bellaire). Boots was active in the WELCA and the quilting group. Her passion was quilting, and she taught many others her craft. She has made over 75 quilts, all hand cut and hand sewn. She touched many lives with her crafts, from quilts to baby blankets. She also loved to crochet afghans and scarves. Boots was a great cook, she was famous for her potato salad, BBQ and homemade goetta. She loved time with her family and friends and she will be greatly missed. Boots is survived by her children, Cheryl (Myron) Cors of Lawrenceburg, IN, Danny (late Ruth Ann) Atkins of Lawrenceburg, IN, Linda Sechrest of Aurora, IN, Barbara Kaffenberger Scherzinger (late Michael) of Lawrenceburg, IN; grandchildren, Stephanie (Vernon) Johnson, Amy (Gordon) Barrett, Jason (Jill) Kaffenberger, Shelly (Ki) Yoon, Jennifer Atkins, Brian (Amy) Atkins, Brandon (Andrea Golden) Atkins, Travis Atkins (Jodie Peters) , Jamey (Tonia) Sechrest, Andrew Sechrest (Lisa Collins); 15 great grandchildren, and 2 great, great grandchildren. She was preceded in death by her parents; husband, Herbert Melvin Atkins; brother, Harold Meyer, sister, Lavern Rosenbaum; great-grandchildren, Josie Yoon, and Jesse Barrett. Friends will be received Sunday, December 2, 2018, 1:00 pm - 3:00 pm at the St. John Lutheran Church (Bellaire), 4937 State Road #48, Lawrenceburg, Indiana 47025. Services will be held at the Church at 3:00 pm with Pastor Mathew Voyer STS officiating. Interment will follow in the St. John's Lutheran Cemetery (Bellaire), Lawrenceburg, Indiana. Contributions may be made to the St. John Lutheran Church. If unable to attend services, please call the funeral home office at (812) 926-1450 and we will notify the family of your donation with a card.